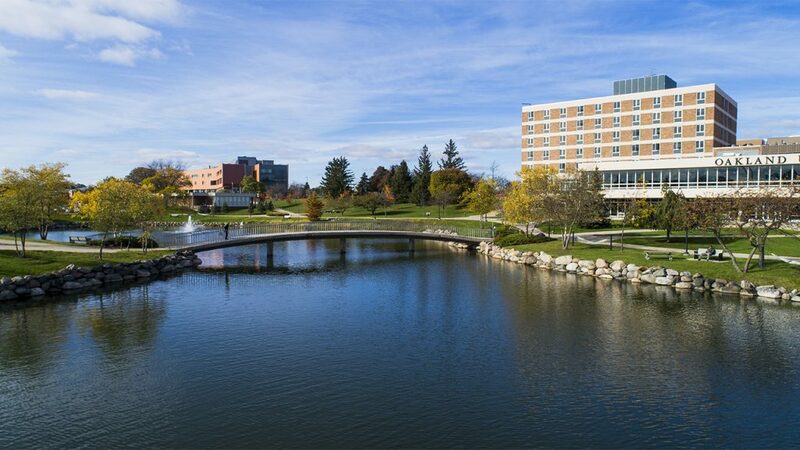 A new, eight-member advisory council has been created to promote and advocate for graduate education and Lifelong Learning at Oakland University (OU). Napoleon Harrington is the founder and therapist of the Ambassador Counseling & Resource Group (ACRG), an organization dedicated to providing people and professionals with proficient counseling and training services. Upon earning his bachelor’s degree, Harrington was awarded the Human Relations Award, a significant honor given to one graduating senior at Oakland University. In 2012 he was awarded the Adjunct Faculty of the Year Award for his academic and professional contributions to his colleagues and the undergraduate student body. In January of 2016, he was inducted into the fifth class of the “Elite 40 under 40 of Oakland County,” by County Executive L. Brooks Patterson. He has recently been inducted as alumni and class president of the 28th Class of Leadership Oakland – a nationally recognized premiere leadership program. Amy Butler serves as the director of sustainability for Michigan State University. She is responsible for initiating, implementing, and advancing MSU’s strategic approach towards global sustainability. Beth Benson worked at National Bank of Detroit from 1981 through 1984, and at Blue Cross Blue Shield of Michigan from 1984 until she retired in 2018. She has held a variety of positions over the years, including internal auditor (operational and IT), operations management, project management, finance, staffing and compliance, as well as several years serving as chief of staff to the vice president of service operations. Beth Talbert is a faculty member and serves as the chief undergraduate adviser in the Communication program at Oakland University. She is also the creator of and director of the OU Women’s Leadership Institute (OUWLI). Laura Tack is an assurance staff at Plante & Moran, PLLC. She graduated from Oakland University with a Bachelor of Science in Accounting and a Master of Business Administration. Debra A. Pruent is retired from Growth from Knowledge (GfK), SE where she was COO and a member of the Management Board. She was responsible for the strategy, M&A activity, talent and operational execution of the company’s global custom research and consumer panel sector. She became a GfK Management Board member in 2008 and was the first American and only second woman to ever be named to the Board. She also served on the company Boards of the Italian, Austrian, China and India companies which were part of the GfK global portfolio. Michael J. Antaran, is the founder and CEO of Marvel Apps LLC & CARROT Pass LLC. Before founding Marvel Apps, Antaran spent the majority of his professional career as one of the auto industry’s leading powertrain and engine systems experts at DaimlerChrysler (1997-2008) and General Motors (2009-2012). Antaran left GM in 2012 to devote his full energies to Marvel Apps that since has been annually recognized as one of Southeast Michigan’s top app developers, and was honored as a “Top 50 Company to Watch” by Michigan Celebrates Small Business. Susan M. Bowyer, Ph.D., is the scientific director of the Neuromagnetism laboratory at Henry Ford Hospital in Detroit, where she uses her physics and brain imaging skills to assist Neurologists and Neurosurgeons plan brain surgeries for patients with epilepsy or tumors.